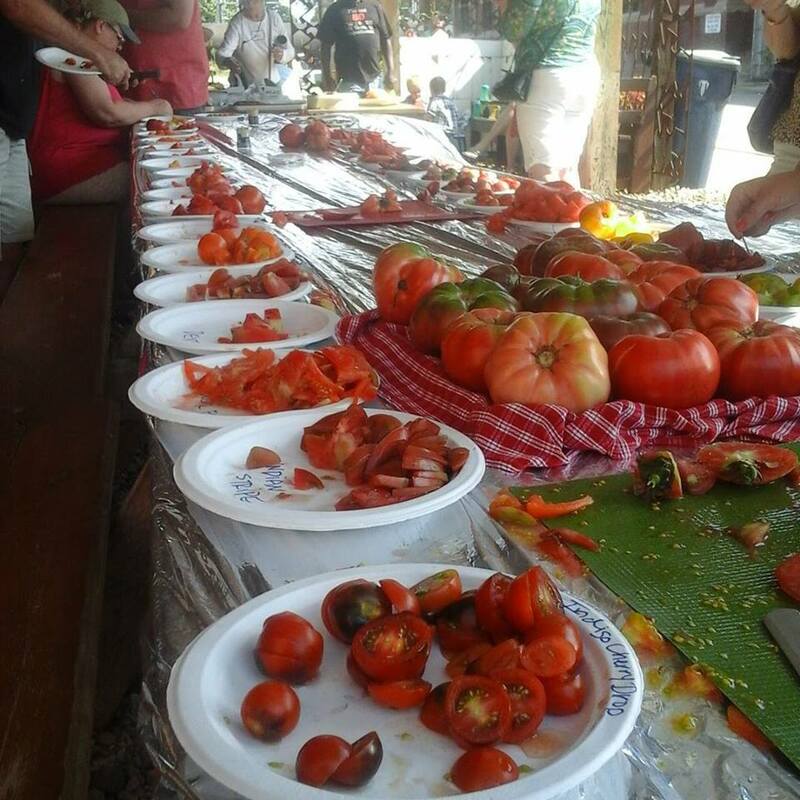 7th Annual Tomato Tasting Results and Pictures! We pushed the envelope of ripeness this year, but managed to have 48 varieties ripe and ready to taste this morning. It’s half of what we had last year, but with the crazy weather we’ve had, I was very grateful to have the diversity we had. 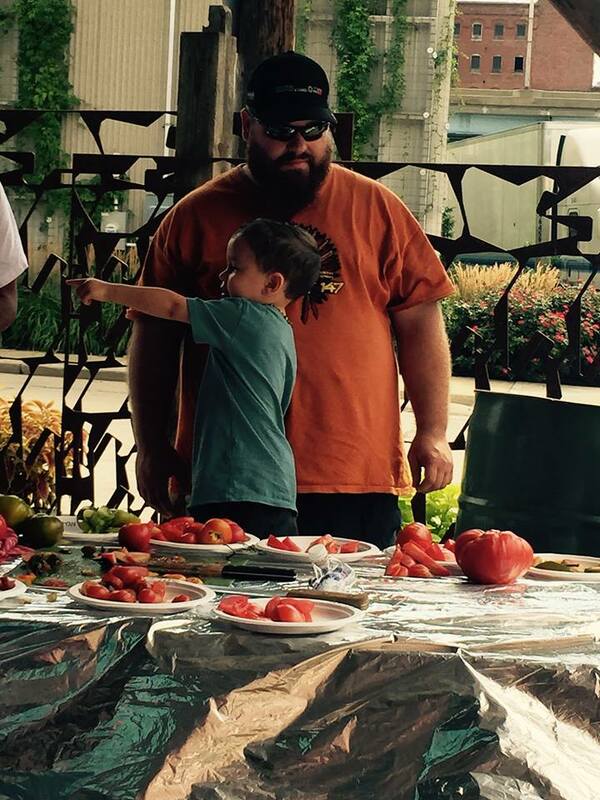 About 100 people joined us for our 7th Annual Tomato Tasting…many old friends and a lot of new faces as well! We were very fortunate with a comfortable breeze which made it very nice to be outside this morning…the heat returned soon after we were finished so having the tasting in the mornings seems to be the best bet! 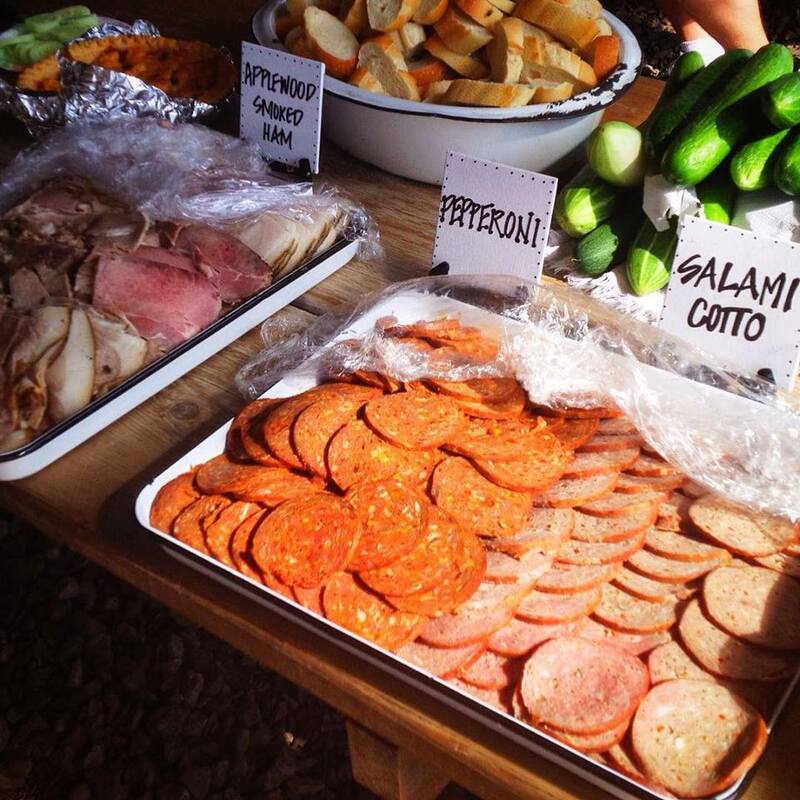 The Local Pig did a great job as our hosts and they broke out big pans of smoked ham, pepperoni, and sausages for all to enjoy. I saw a lot of our tasters taking home brown paper sacks full of locally produced meats. I can’t thank Alex, Matt and their whole crew enough for all of the generosity and help during the past three years! I took a few pictures of the tasting and stole some pics from tasters who posted on FB…thanks to the shutterbugs who captured some great moments! 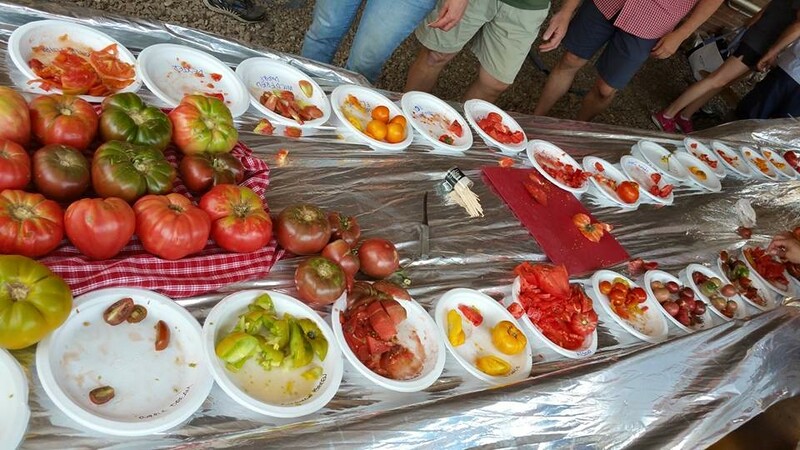 We also did our totally unscientific voting for the favorite tomato and we had some surprising results. Sungold was toppled as one of the perennial winners!